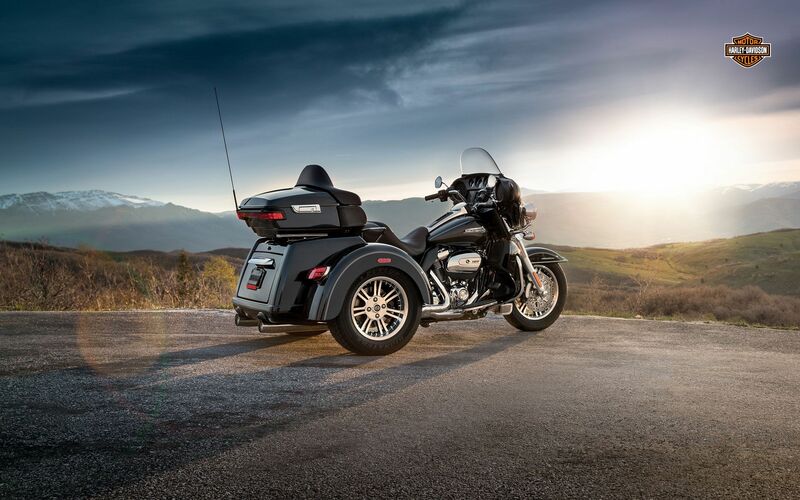 The Tri Glide® Ultra motorcycle is everything you love about H-D® touring, only on three wheels. You get every feature, starting with the power of its Twin-Cooled™ Milwaukee-Eight® 107 engine. Other touring features include a four-speaker, premium BOOM!™ Box 6.5GT Infotainment System with GPS and color touchscreen, electronic cruise control and 6.8 cubic feet of storage space. Get into the middle of nowhere on this one, and you won’t be coming back anytime soon.